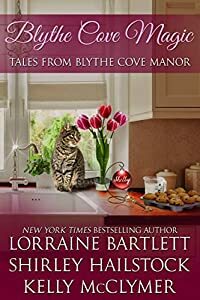 In this third edition of The Tales From Blythe Cove Manor, Blythe Cove Magic contains three stories by three bestselling, award winning authors. Join Blythe Calvert and her unwavering wisdom as she directs her guests to discover the hidden secrets of their past or an intriguing glimpse into their mysterious future. something more at work that will tie them together. Can they unravel it? And do they really want to?